I love the way yoga makes you feel. Stronger. More flexible. Relaxed. But I've found I can only maintain so much commitment to a video (even a really, really good video) and though I've liked the teachers I've had at gyms, there is something about being surrounded by a zillion people smaller, stronger and 10x more flexible than you are that can completely psych you out. So, I was driving down Josey a couple of months ago and saw a sign for RESCUE YOGA. Just a little sign, tucked in a strip mall behind the Walgreens at Frankford. There was a list of classes hanging near the door, so I grabbed a schedule and went back to addend a class. The thing about a yoga studio that is different to a gym or videos is that the studio itself tends to have a personality. In this case, Rescue Yoga is relaxed and very real--which is probably a reflection of the owner, Jenny. In fact, it has been a discovery to me just how much personalities of instructors provide different "flavors" of classes. I suppose this happens everywhere, it is just that I hadn't experienced it before. (At the gym, the vibe was homogenized....probably intentionally.) If I were to describe it, I would say that Jenny's classes are very real and relaxed, but with a lot of knowledge laced through them. I don't believe I've ever gone to one that I didn't learn something I didn't know before. Bill-the-Realtor teaches with a power you would expect from a male yogi. He is also very focused on the internal benefit of yoga to focus the mind and connect with the breath. Victoria-the-Dancer's class is just fun. I found myself smiling constantly as there was a lot of joy to it. Heather-ahhhh. 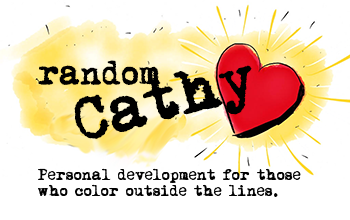 Heather teaches restorative yoga...which is like a gift she gives you each week. In fact, Heather's is a "can't miss" class for me. It is something I didn't realize I desperately needed until I found it. Restorative yoga provides the type of deep relaxation that an hours worth of massage does for you. But at only $10 a class, you can afford it much more often. 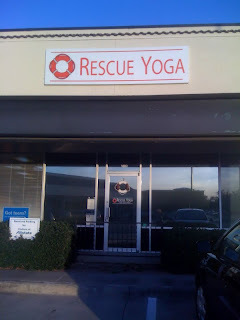 If you live in North Dallas, check out http://www.rescueyoga.com/. Or, Google to find a yoga studio in your own neighborhood. And, if you already go to a studio, tell its story below. That sounds like something I might check out. My boyfriend and I tried Sunstone Yoga (very hot room) recently because they have a $10 for 10 days deal and we loved it, but there was no way either of us could afford it. But $10 per class sounds like a good deal. I met a woman this week who did the Sunstone deal also. She said she got really dehydrated though. Do you sweat a lot during the class? Great post! I made it through my pregnancy fit and happy thanks to Jenny. I traveled to central Mexico for research at six months and I did great--I hit the ground running daily and even climbed a pyramid. Her postnatal classes were also amazing. I snapped back from my c-section very quickly both physically and mentally. My weekly class was a much needed bit of me time that I would not trade for anything. A move to Fort Worth has kept me from attending classes for the past several months, but I always recommend Jenny and her studio to anyone in the area!